Yes, we are fully licensed and insured. We carry general liability insurance, workers compensation, auto insurance and cargo insurance. This is a large expense for our business but extremely necessary. Always make sure the moving company you hire is licensed and insured. Scheduling 3 weeks in advance is always a good rule of thumb to ensure your move is reserved for the exact date and time that you want. FYI Saturdays and the 3 days of the month tend to get booked the fastest. We do not have any cancellation fees if you need to change your date or cancel, so don’t worry about scheduling early. There are time when we help customers with last minutes move requests, so do not hesitate to ask. We usually tell our customers to use their best judgment whether or not it is necessary to reserve a temporary parking permit. There are times where the move lasted longer than necessary due to the fact we had to park far away from the apartment/house. Here are a few links that should point you in the right direction as to how to reserve parking. Make sure you reserve any available loading docks or elevators. If there is no loading dock, ask the building manager where movers usually park their truck while moving. It is important to reserve these well in advance of your move because they get booked quickly. Our rates are simple and easy to understand. For all local moves we charge an hourly rate and a flat fee. Our rates are extremely competitive in the moving industry and we are happy to give you a free moving estimate tailored to your specific needs. When you submit a move request, we will reply promptly with the recommended number of movers, and the estimated time and estimated total cost for your move. You may find other movers who give cheaper rates but are not fully licensed and insured, tack on extra fees, and do not employ a fairly compensated crew. When do you start the clock? We start the clock when we arrive at your pickup location. We stop the clock when you are satisfied with the placement of all your items at the destination. The clock is not running while we are headed from our office to your pickup location. We now offer packing services to go along with our moving services. Go to our move request page and fill out the form and be sure to explain in the description of what items you would like us to pack. Here is a link to give you more description of our packing services. We do our best to make sure most if not all of your furniture is covered by moving blankets and then wrapped in our movers stretch wrap. This is a great way we protect your items from any bumps or scratches but accidents do happen. If there is damage to one or more of your items, we use the standard moving valuation, which covers $.60 per pound per item damaged. At this time we do not offer any additional valuation insurance. If you are interested in protecting you items further, we recommend talking to your insurance representative about renters or home owners insurance. Their policies cover any damages to items while being moved and they are drastically cheaper than any additional insurance a moving company can offer you. Yes. We have a two-hour minimum. No. We understand that plans change and simply do not want to penalize customers for rescheduling in a timely manner. If you do need to cancel or need to reschedule within 2 days of your move, we do require that you pay the 2 hour minimum charge. This allows us to pay our crews for work that they missed. We do of course appreciate as much notice as possible when making changes. Your advanced notice makes it easier for you to get the new date you want and will allow us to release your old reservations to wait listed customers. Do I need to remove items inside my dresser drawers? Removing the items from your dresser is usually the best option, especially if we need to take it around tight corners, or take it up or down stairs. If you think your dresser isn’t exactly structurally sound like many Ikea pieces, we recommend taking the items out. We will blanket and wrap the dressers to protect it and to prevent drawers from falling out. Do you move pianos or pool tables? No, at this time we believe it is too much of a liability for us to move pianos. As for pool tables, we strongly recommend calling a professional pool table company to disassemble and reassemble the table. Once the disassemble is complete, we are more than happy to relocate it for you. 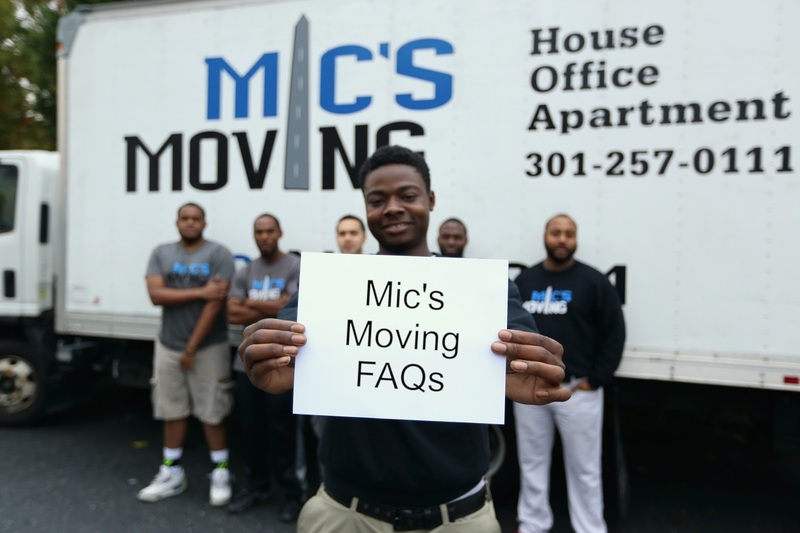 What if my moving crew goes above or below the estimated time on my quote? We are pretty good at estimating how much time your move is going to take, so it is very important to be as detailed as possible in the move request form. There are cases where the estimated time goes beyond the high end estimate because of unusually long walks or long walks, elevator difficulty, lack of proper packing, or not disclosing full list of items and or details. When this occurs we will have to charge for the full amount of moving time spent on the job. When our moving crew is finished, your crew leader, will pro-rate your hourly cost to the closest minute after the 2 hour minimum has been met. What is the standard tip for movers? We compensate our movers well, so tipping is not required but very much appreciated. We are very grateful when we do receive a tip. If you think your movers did a great job, tips are always the best way to show it. The average tip is $5-10 per hour, per mover.